Go to SALES -> MENU ITEMS to view sales list. 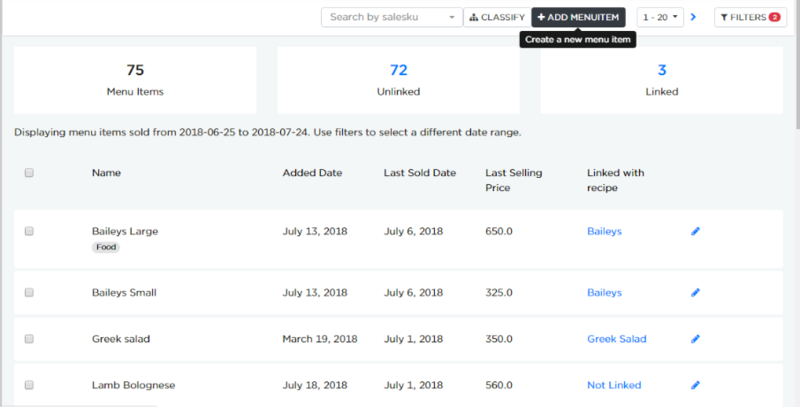 The list of menu items are shown in this page, along with its linkage to recipe, last date it was sold and the last selling price. 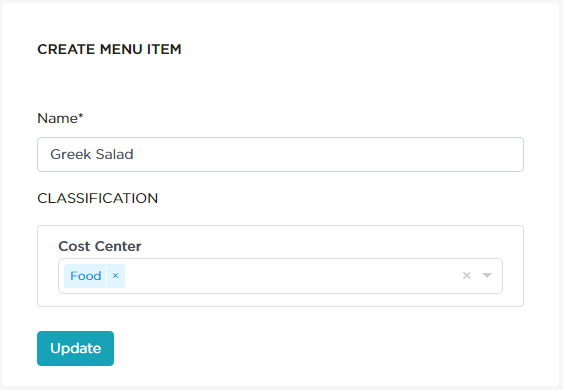 Click ADD MENUITEM button to add the menu item. 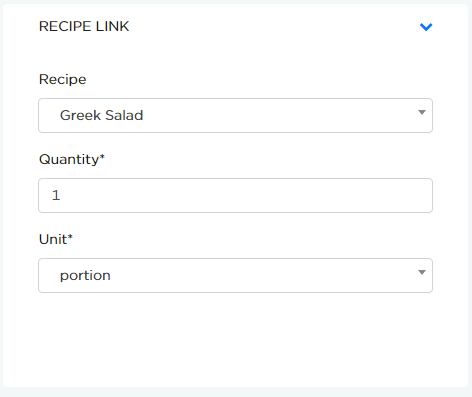 As shown in above example, Greek salad item is linked with Greek salad recipe.